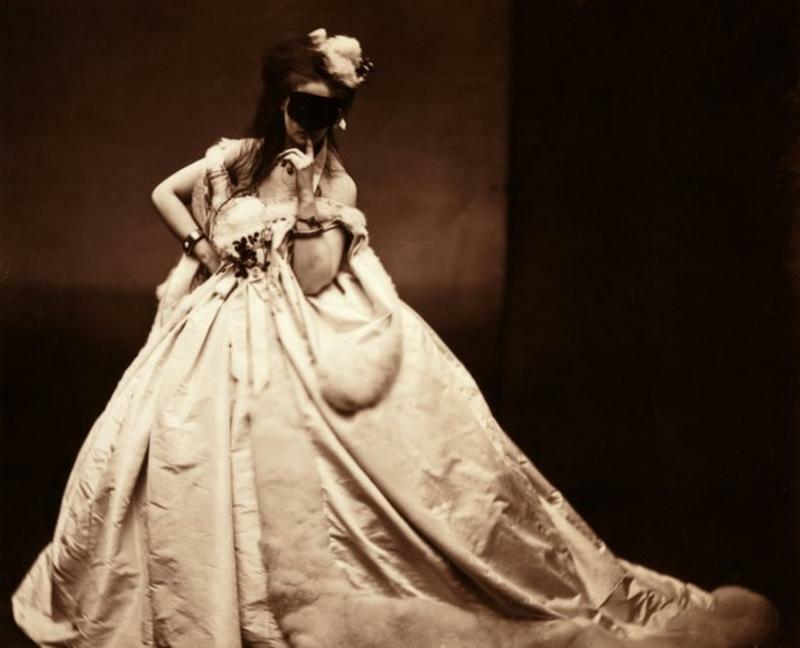 Virginia Elisabetta Luisa Antonietta Teresa Maria Oldoini, Countess of Castiglione, was a very significant figure in the early history of photography. She is remembered among photography historians as a subject of 700 different photos in which she re-created the special moments of her life for the camera. She acted like a producer and art director of her own photoshoots. When Virginia was 17, she married Francesco Verasis, Count of Castiglione who was 12 years her senior. They had a son, Giorgio. Virginia’s cousin Camillo, Count of Cavour, was a minister to Victor Emmanuel II, king of Sardinia. Under her cousin's instructions, Virginia became special agent for the cause of Italian unification. 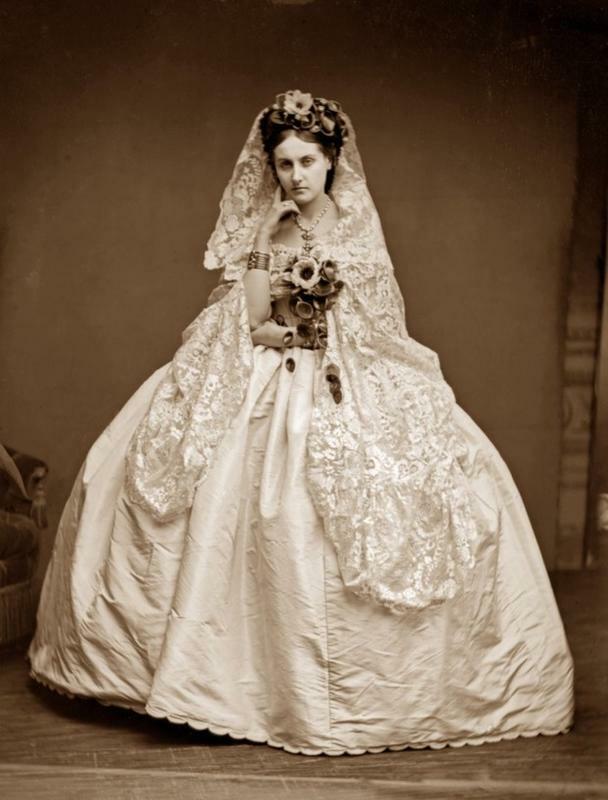 She achieved notoriety by becoming Napoleon III’s mistress - a scandal that caused her her marriage. During her relationship with the French emperor in 1856 through 1857, she entered the social circle of European royalty and became a star. 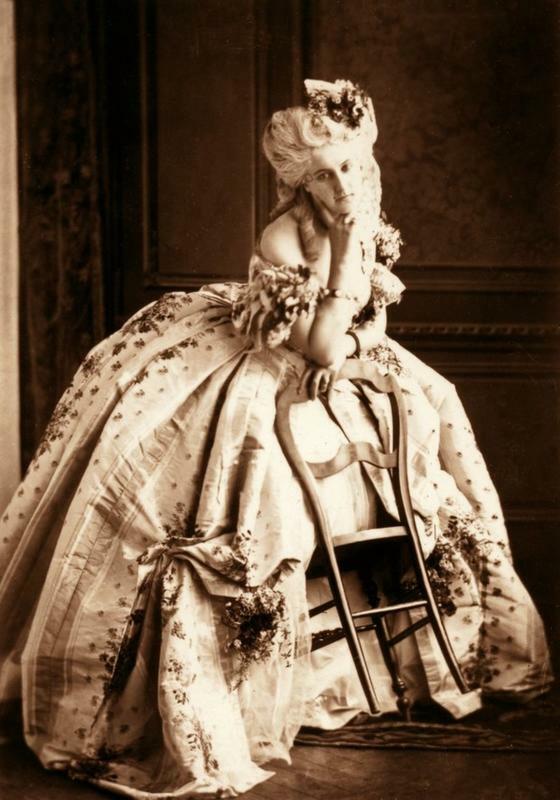 The Countess was known for her beauty and her flamboyant entrances in elaborate dress at the imperial court. She spent a fortune for dresses and costumes. People described her as havina A long, wavy blonde hair, pale skin, a delicate oval face, and eyes that constantly changed colour from green to an extraordinary blue-violet. 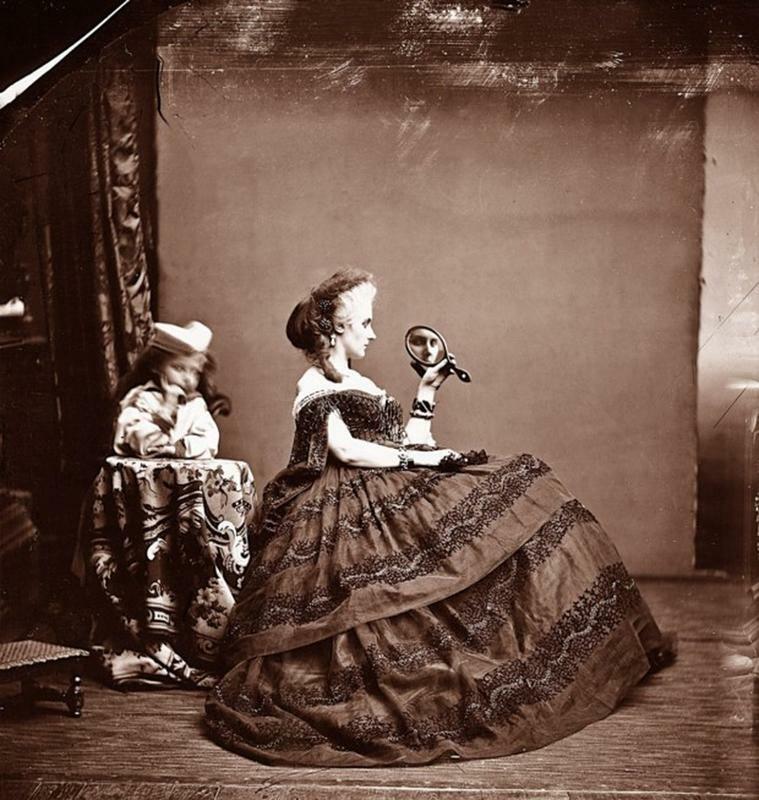 In 1856 she began posing for Mayer and Pierson, two photographers favored by the French imperial court. 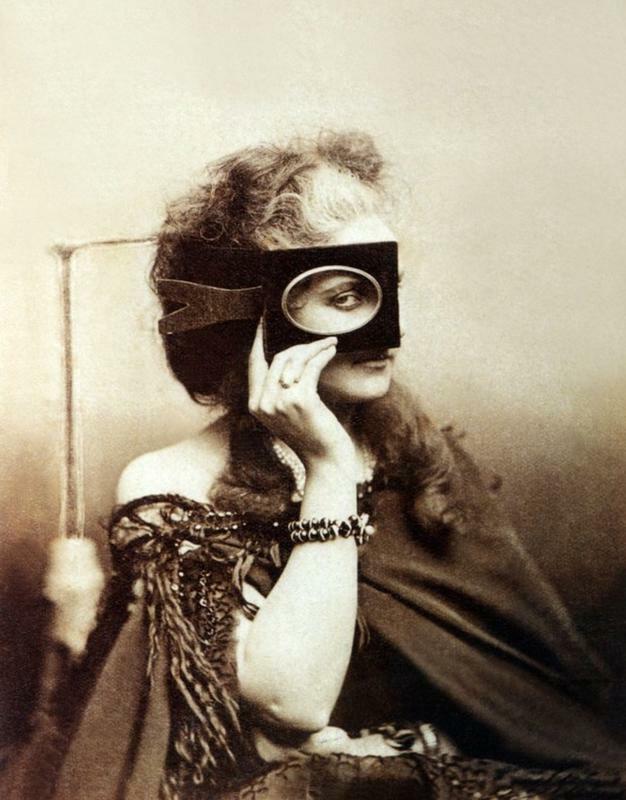 For the next 40 years she directed Pierre-Louis Pierson to help her create 700 different photos. She spent a large part of her personal fortune and even went into debt to execute the project. 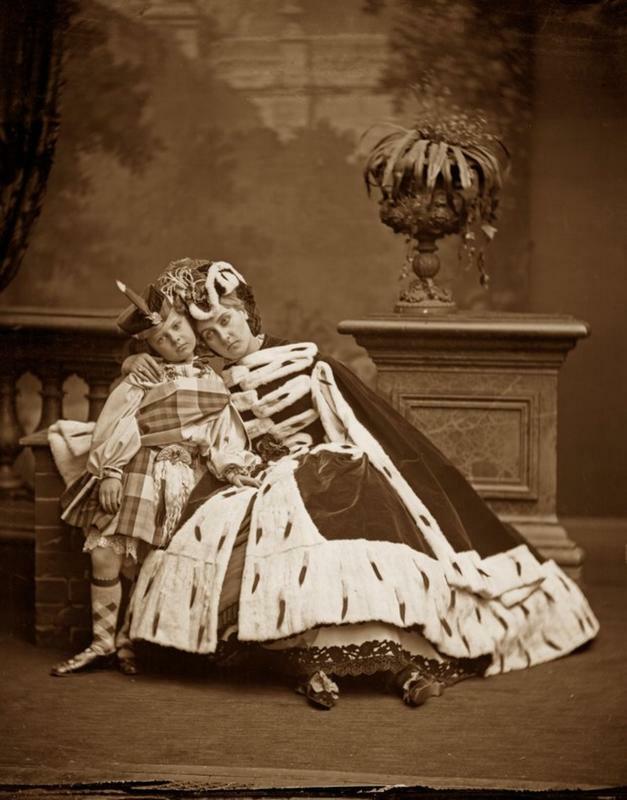 Most of the photographs have the Countess in her theatrical outfits. She was a very conscious model. She portrayed herself as various biblical and literary characters such as Lady Macbeth, Anne Boleyn, Beatrix, Medea, a nun, a prostitute, Queen of Hearts and even a corpse in a coffin. A number of photographs depict her in poses risqué for the era — notably, images that expose her bare legs and feet! 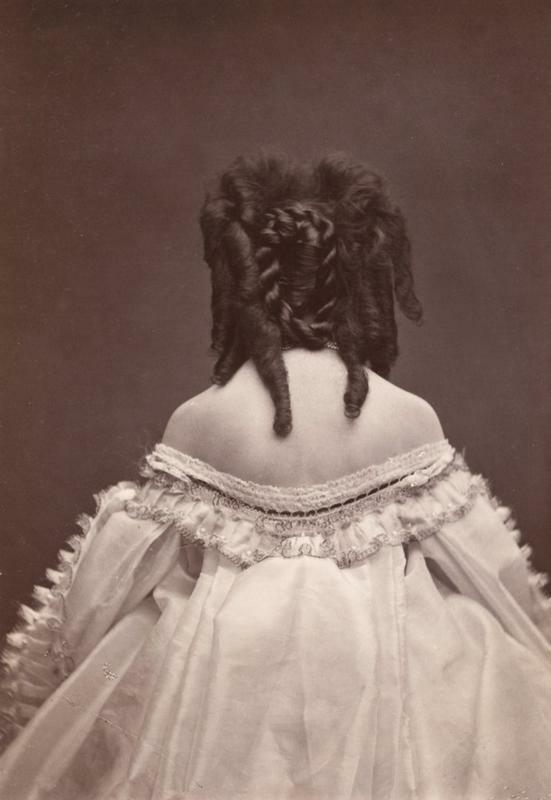 The end of Countess Virginia was quite sad. She spent her old age in an apartment in the Place Vendôme, where she had the rooms in funeral black, the blinds kept drawn, and mirrors banished — apparently so she would not have to confront her advancing age and loss of beauty. She would only leave the apartment at night. 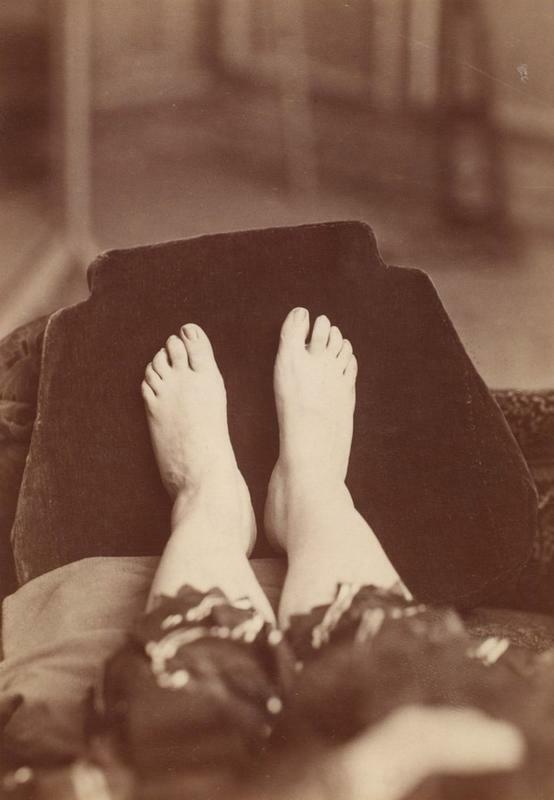 In the 1890s she had a brief collaboration with Pierson again, though her later photographs show her loss of any critical judgement, possibly due to her growing mental instability. She wanted to set up an exhibit of her photos at the Exposition Universelle (1900) titled 'The Most Beautiful Woman of the Century' though this did not happen. 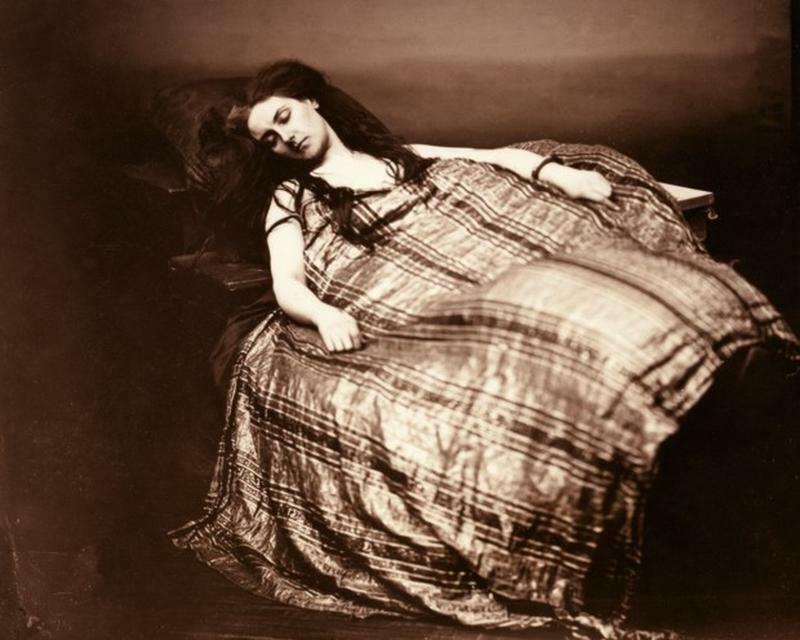 On November 28, 1899, Virginia died at age 62.